2015 goes into the books as the warmest year the Earth has experienced since 1880, when official records began. And the record was not merely set, but shattered. Combining land and ocean surface temperatures, the global average for the year was 1.62°F (0.9°C) above the 20th century average, according to data gathered by federal climate scientists. The extreme temperatures were evenly distributed worldwide and part of the "long-term trend," says Gavin Schmidt of NASA's Goddard Institute for Space Studies, and would have been unprecedented even without the warm El Niño conditions that have prevailed in the Pacific Ocean for much of the year. Both sea and land temperatures set new highs individually, but land temperatures in particular were way out into record territory, surpassing the previous record of 2007 by 0.45°F (0.25°C). 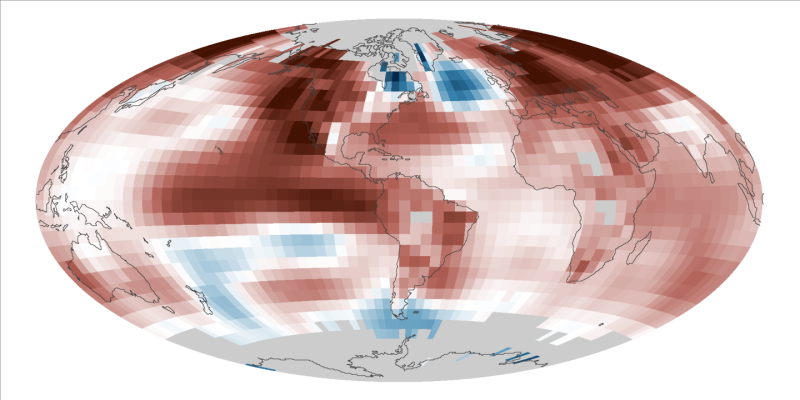 It's the fourth time since 2000 that the global temperature record has been broken. Only two months -- January and April -- did not set temperature records globally, the first time that 10 months of any given year have all set high-temperature marks. 2015 was also the year that Earth officially reached one degree Celsius above pre-industrial levels (about 250 years ago), exactly halfway to the 2-degree international target established for halting global warming. about one degree above the 3rd-warmest year, 1934. "I was actually surprised that it was as warm as it was," says Kelly Redmond, climatologist at the Western Regional Climate Center in Reno. 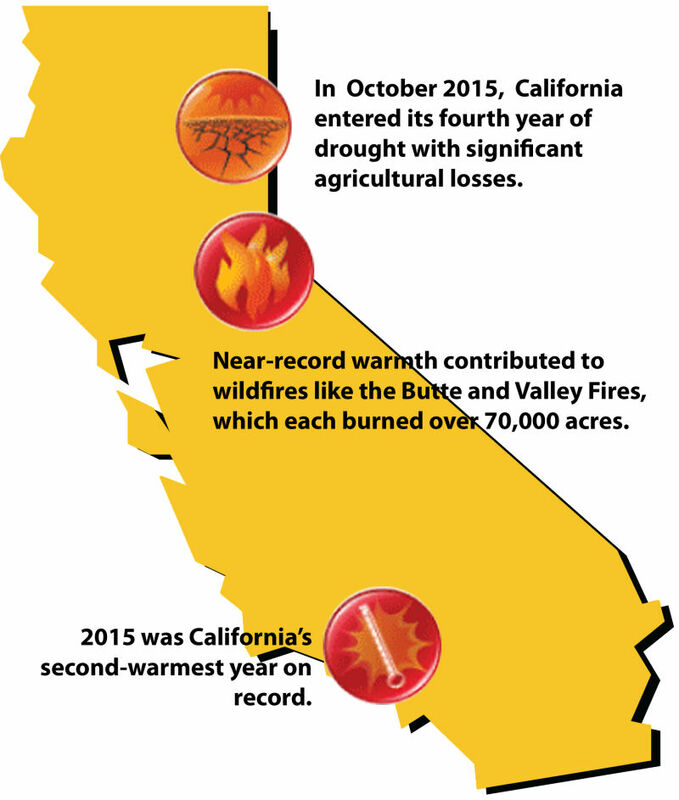 California might've seen a new record were it not for a series of cold storms from the Gulf of Alaska that swept across Northern California in December. Kelly says temperatures for much of the year hovered around the normal range. The first three months of the year were all warmer than normal, setting expectations that 2015 might punch through the record-warm year of 2014. Individual years aside, scientists say they expect the general warming trend to continue. "The factors that are causing this long-term trend are continuing to accelerate," says Schmidt, referring to the worldwide burning of fossil fuels that generates greenhouse gases, and the deforestation that reduces the land's ability to absorb them. "If you're gonna be betting," adds Thomas Karl, director of NOAA's National Centers for Environmental Information, "I'd bet that 2016 will be warmer than 2015."